You are here: Home / Testimonials / Rob H.
Yes, i have to agree with the first reviewer. 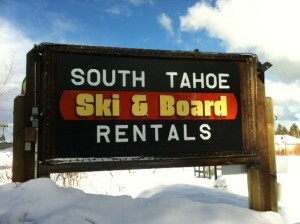 we just met Phil, the owner, this past weekend for ski rental for Heavenly. Great prices (make sure you print off the 20% off voucher – If you call, Phil will tell you to do the same!) and the skis were perfect. They actually were the best skies I have used in years. Not the newest I have seen but when I asked Phil about them he was able to explain why I liked them based on the shape and my ski style. I like to carve and the skies had a more narrow middle than the ones I have been using. He also sells 1-2 season old performance skies that you can try before you buy. Can’t go wrong. We will use his ski service again and again.